Young Hunk Daggubati Rana will soon be seen as ‘Btech Babu’ in the movie ‘Krishnam Vande Jagadgurum’. The movie is being directed by the critically acclaimed Krish, who made hard hitting films like ‘Vedam’ and ‘Gamyam’ before. The movie is currently being shot in Ramoji Film City. 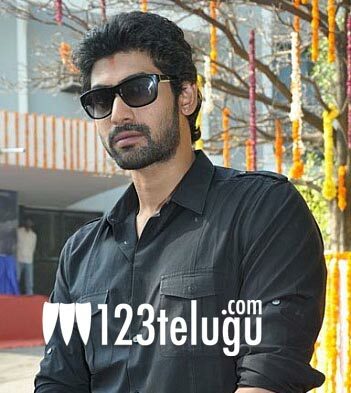 Krish says that Rana’s ‘Btech Babu’ character in this movie will strike a chord with the masses just like Allari Naresh’s ‘Gali Seenu’ character in Gamyam and Allu Arjun’s ‘Cable Raju’ character in ‘Vedam’. A new heroine is going to be seen as the female lead in this movie. Keeravani is scoring the music and Jagarlamudi Sai Babu is the producer.